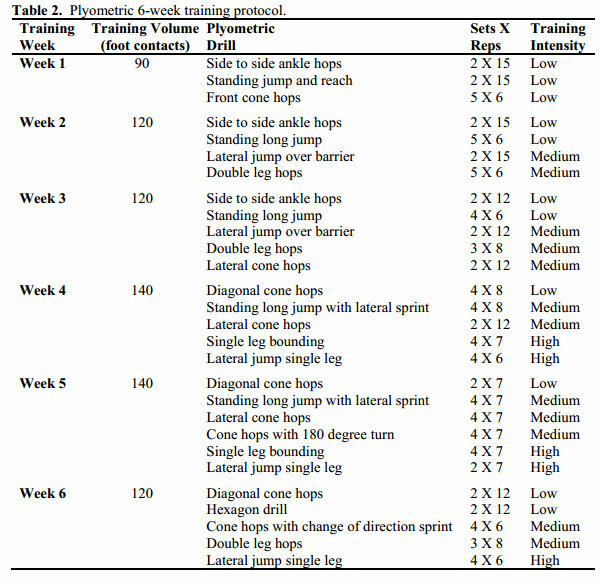 Using the training program displayed below for 6 weeks (2 times per week), 14 trainees improved their agility and speed significantly more than 14 control subjects. 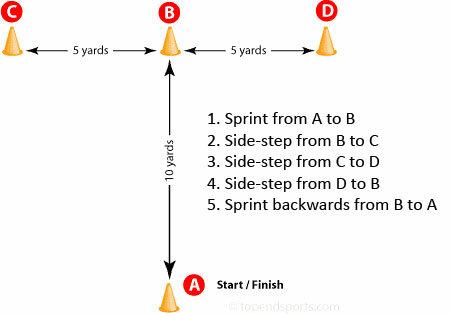 They were tested using the Agility T-Test (below left) and the Illinois Agility Test (below right) and the improvement was 5.5% versus 0% for the Agility T-Test and 3% versus 0% for the Illinois Agility Test. The the control group didn’t improve at all and the training group cut their times by 3% and 5.5%. 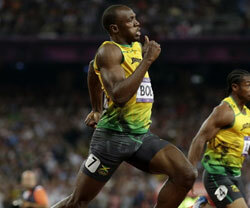 3% to 5.5% may not sound large, but it is roughly the difference between a fast player and a very fast player. Also, you can continue past the 6 week mark and progress further. 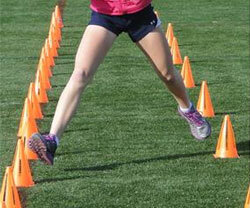 As you can see, the training program doesn’t require much equipment at all, with cones being the most useful. All you need is a little dedication and some grass or other surface. Is The Above Training Optimal? While the results above were great, I would be letting you down if I didn’t mention this. In our previous article, Strength or Power for Vertical Jump, we found that training both weight lifting (squats in particular) and plyometrics resulted in far superior results than squats or plyometrics alone. 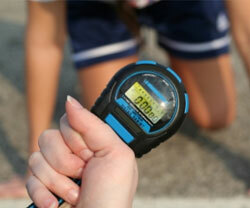 That applies to speed, vertical jump, long jump, agility and probably more. Chances are that by training both weights and plyometrics, your results will exceed those you would have achieved with plyometrics alone. You can think of it like this: the weights give your muscles a lot of stimulus to grow and get stronger, while the plyometrics helps you to control your muscles better. Combining the two makes you stronger, more powerful and quicker too. So if you want good training, then do the program above. If you want great training, do the program above along with strength training in the gym. 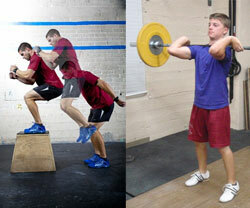 No Responses to "Plyometric Training for Agility and Speed"